Loose fitting tunic or dress. Embroidered details on yolk, tasseled ties. Sleeves are pleated at elbow and flare out. Machine wash, line dry and brush tassels out. Small: Chest 40″, Length 30″. Medium: Chest 42″, Length 31″. Hand embroidery details on yolk. 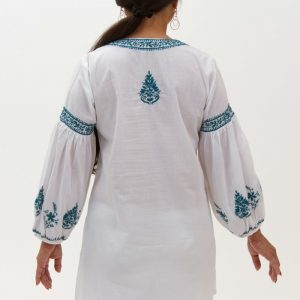 Loose fitting tunic blouse with tasseled details on cuffs. Small: Chest 38″, length 30″. Medium: Chest 40″ Length 31″. Large: Chest 42″ Length 32″. Machine wash in gentle cycle, iron on low heat or line dry. Freida Hot Pink Cotton Tunic. 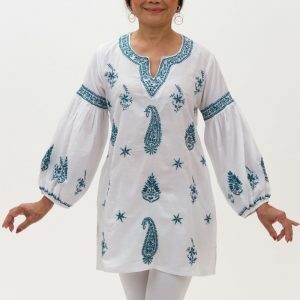 Lightweight crisp cotton tunic embellished with one of our oldest hand block prints of exotic Indian elephants in blue. Perfected with fresh white Mandarin collar and cuffs adorned with a simple single stitch design in correlating blue thread. 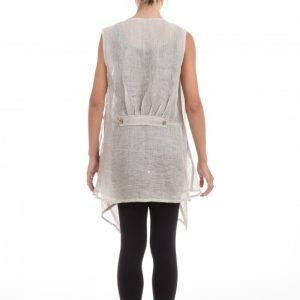 Stylish gauzy linen cover up. Sara Cotton Tunic with Green Hand Embroidery. X Small: Chest 34″, Length 29″. Small: Chest 36″, Length 29″. Medium: Chest 38″, Length 31″. Large: Chest 40″, Length 32″. X Large: Chest 42, Length 33″. 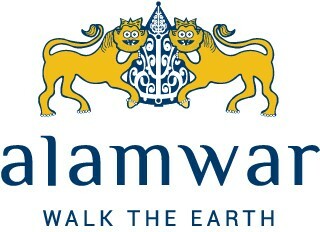 Hand made by SEVA a women’s Non Profit. 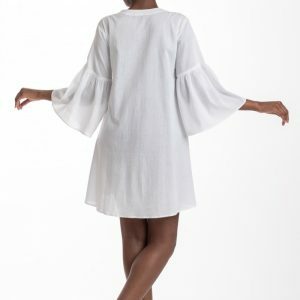 Stylish Summer Tunic or Dress. Loose Fitting. Hand embroidery details by SEVA Lucknow, a women’s non profit. Large: Chest 40″, Length 33″. X Large: Chest 42″, Length 33″. Shinto Blue Silk Cotton Tunic. Embroidered details on front and back. Tassel details on slide slits and front ties. Flared sleeves with embroidered details. Tasseled slit details and tasseled neck ties. Sleeves are slightly flared with embroidered detail. Small: Chest 36″, Length 30″, Slit 16″. Neck and sleeve have wide band with hand stitching detail. Small: Chest 36″, Length 33″. Medium: Chest 38″, Length 33″. Large: Chest 40″, Length 35″. X Large: Chest 42″, Length 35″. 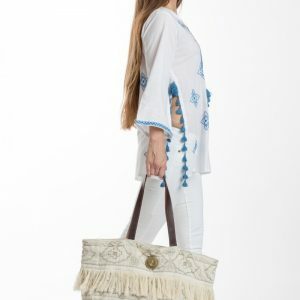 Summer cotton block printed tunic. Flared sleeves with hand stitching detail on collar and sleeves. Anahita Cotton Blush Pink Tunic. Stylish embroidery detail on yolk, tasseled balloon sleeve. Small: Chest 38″ Length 30″. Machine or hand wash in gentle cycle. Anahita Cotton Sea Green Tunic.